There are numerous variations of the standard squat to target the legs in different ways. One of the hardest variations is that of a single-leg variation known as the pistol squat – the king of lower body exercises! Those who take the time to master this move will reap the rewards. So what exactly is this move? The pistol squat is a single-leg variation of the squat in which hold your non-working leg straight and parallel to the floor – brutal! They say there’s no pain without gain and this is certainly true of the pistol squat! A huge reason why I love the pistol squat and encourage people to practice and master them is because of the strength, balance and control they provide you. Most of you will have desk jobs that require sitting for long periods of time. This creates significant muscle imbalances, especially in the hips. Repetitive strain injury and bad posture from numerous every day activities also create muscle imbalances. 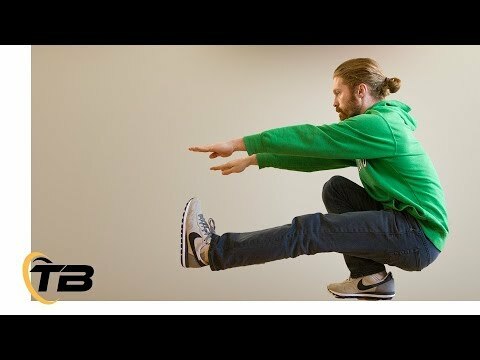 Why is a pistol squat good for correcting muscular imbalances? They will enhance the development of your hip control especially the deep hip external rotators. Your balance will develop enormously if you practice the movement regularly. It will feel pretty tough at first. As you strengthen your lower body, the movement will continue to improve. Following on from the above point about muscular imbalances, it’s important to tell you why another pistol squat benefit is isolation. The pistol squat is what’s known as a unilateral exercise (one limb movement). It forces each side of your body to shift the load of your body weight. When you perform a bilateral movement such as a squat, a dominant limb can take over and you can over-compensate with a particular side. The unilateral movement of the pistol squat works each leg individually allowing you to develop equal strength, balance and symmetry throughout both legs. 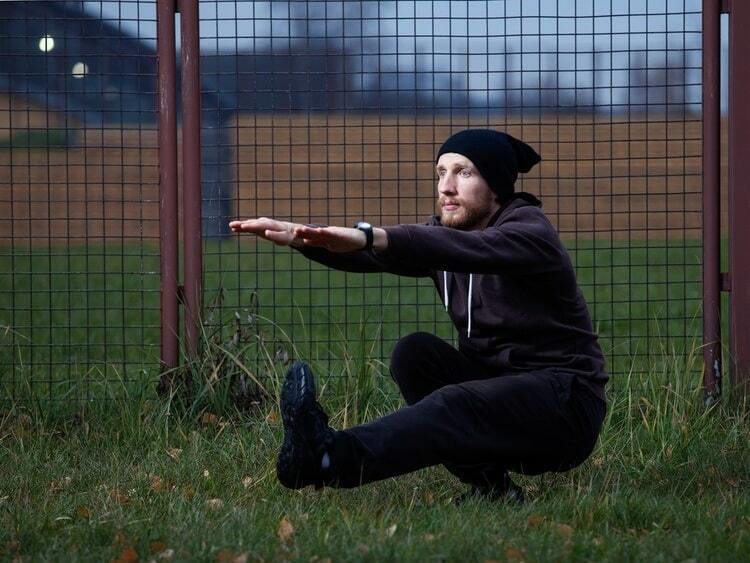 If you have been overcompensating on one of your legs the pistol squat will force the movement from your weaker leg. This allows you to abolish imbalances and you to improve your strength. Because a pistol squat works each leg individually, it is a great accessory movement to complement your main lifts in each session. Another huge pistol squat benefit is muscular conditioning. One-legged squats such as the pistol squat better prepare your body for the demands of athletic performance. Sprinting, running, plyometrics and track and field activity are just a handful of sporting movements that can benefit from the muscular pre-conditioning. The pistol squat develops the flexibility, endurance and coordination of your leg muscles. What’s more is that the pistol squat also engages assistance muscles, which include your upper and lower abdominals as well as your biceps. Because pistol squats are so heavy on the legs, many people don’t realize that they are actually excellent for developing your core strength and muscles. It’s true; pistol squat benefits reach out as far as giving you some rock hard abs! The pistol squat requires heavy core support and posture alignment in order to keep your balance. They will help tone and strengthen your midsection while building leg strength all at the same time. 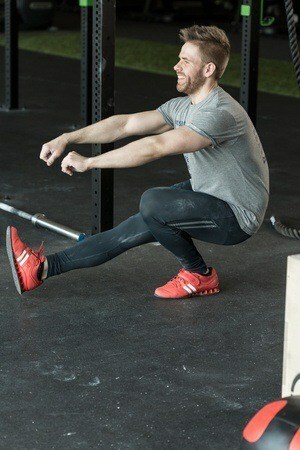 A huge benefit of the pistol squat that I must emphasize is its ability to give you better balance and body awareness. With the hardest moves come the biggest rewards. 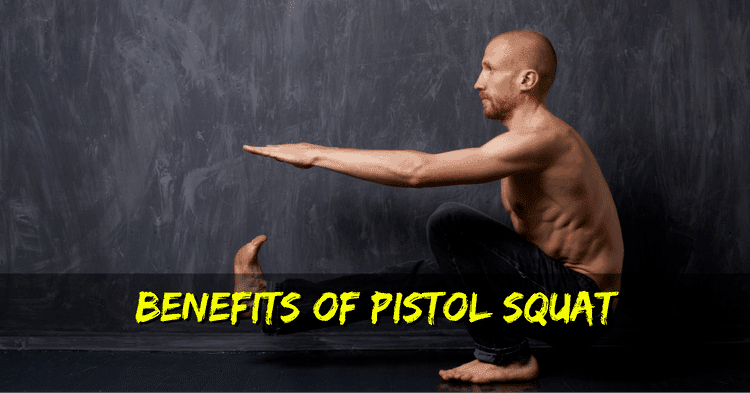 The pistol squat trains your body to balance in a manner which resembles the hard-core exercises commonly practiced in martial arts for rooting. Rooting refers to the way a tree is rooted to the ground. You are forced to find a centre of gravity and connection to the ground as well as shifting your own body weight. Little everyday things in life will be enhanced. Things such as tying a shoelace while standing on one leg and not having to grab an object for support. Not to mention, if you’re an avid sports person your balance and coordination will be greatly enhanced. Hopefully you enjoyed reading the pistol squat benefits! If you haven’t tried them or have been questioning their effectiveness, hopefully you now feel they are a worthy exercise! I feel like the above list is extremely important! Many unilateral exercises in the gym are forgotten about. They are so important for building strength, balance, stamina and core strength. 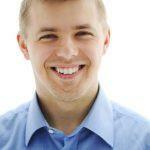 It would be great to hear your thoughts on the pistol squat benefits! Have you tried this exercise before? Are you already a maser of it? We’d love to hear your thoughts on this challenging but extremely beneficial exercise in the comments below! If you loved the article feel free to share it!